Barbara Carlson: Proud of Serving those in need. In her next trip she will spend half of the time in Honduras on the campus of the Residential Children’s Home constructing a building for the caretakers of children. 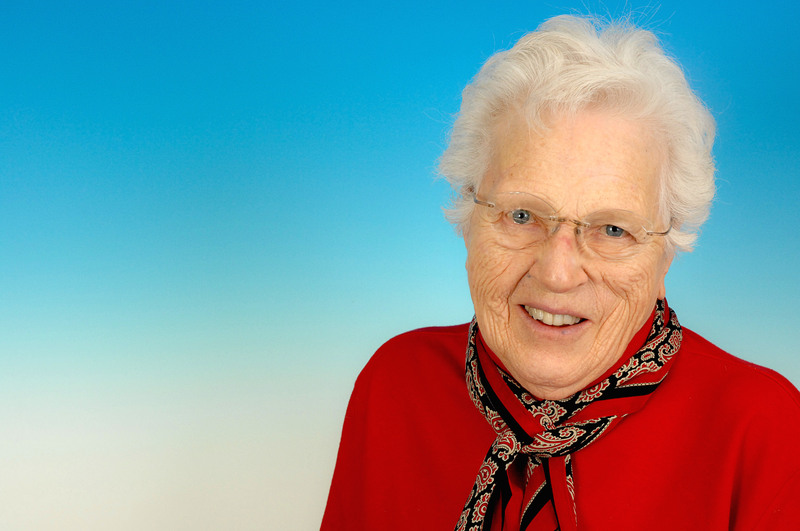 Meet Barbara Carlson, retired school teacher and the embodiment of philanthropist – dedicated to improve the material, social, and spiritual welfare of humanity, especially through her charitable activities. Barbara and her (late) husband Rev. Rowland Carlson founded Discovery Service Projects, an organization of volunteers from many faiths who work alongside local citizens in developing countries and the United States. Their volunteers have built churches, clinics, community buildings, schools, and private homes, enriching the lives of individuals, families, and communities. Barbara has been highly-successful in recruiting family, friends and the staff at Wesley Enhanced Living Doylestown (where she resides) to help with both domestic and international projects. She was particularly proud and excited to have four generations of Carlson’s all assisting with a building project in Jamaica. In 2013, Barbara and her team of almost 100 volunteers went to Palmares, Costa Rica to build a community service building and distribute food to the needy through a partnership with the Rice and Beans Ministries. Barbara is preparing for her next trip scheduled for January 3rd through February 15th. She will spend half of the time in Honduras on the campus of the Residential Children’s Home constructing a building for the caretakers of children. She and her team of volunteers will then head to Costa Rica to construct a Sunday school building on the campus of the Palmares Methodist Church. In addition, they will distribute food bags of rice and beans to the poor neighborhoods. Barbara is very proud of the accomplishments of the organization she and her husband founded back in the late 80s and she looks forward to discovering new cultures and making a real difference in the lives of those in need.